This brand new model is Urge “entry level” helmet, but more importantly it is the model where we’ve gone further in terms of material choice and less polluting materials. The inner shell is made of recycled EPS while the outer shell is finished by the process of ABS dyeing in order to avoid using paint. The logo is a relief in the shell, which is nicer looking and avoids the use of stickers. Like the entire Urge helmets range, straps are made of recycled PET, our packaging has the legal minimum of plastic bags and other useless gadgets that end up in the bin, and the box is made of raw one-color carboard. Of course, along with all of the virtuous details, we haven’t forgotten about the comfort, the ventilation, the look and above all the safety. Even if you are now an activist who decided to protect the environment, the new Activist was mainly designed to protect you during your riding sessions. 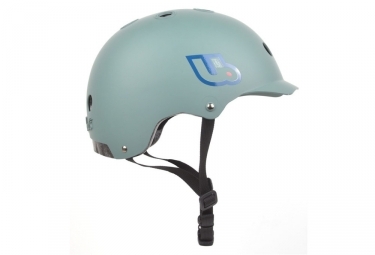 Casque bol URGE 2018 ACTIVIST Bleu clasificado 5.0 de 5 por 2. Rated 5 de 5 por Sébastien de Génial Design de la coque terrible et ergonomie idéale avec les mousses interchangeable, livrées dans la boîte. Superbe produit pour un très petit prix !